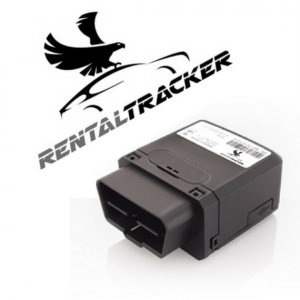 RentalTracker is the premier tool for fleet managers. It was developed by and for rental companies, who know the renter’s needs to a tee. RentalTracker turns complex fleet information into clear reports and notifications. That way, renters always have a clear and complete overview of current information about their fleet. Renters and short-lease companies loan out their vehicles to a varied audience. That brings with it a range of problems that you could encounter. Like damage, mileage fraud, fines, or theft. With RentalTracker, you can see which renters have acted contrary to your rules and when. That means you’re always prepared to pass on fines and other costs to the relevant client. Thanks to the automated notifications, you’ll be spending less time checking and managing and getting a better return on your fleet. By using our smart GPS algorithms, unwanted clients like illegal taxis, drug runners, and extreme users will be filtered out of your fleet, both within the Netherlands and across the EU. OBD: simple to plug into a vehicle’s OBD port. Built-in tracker: Built into a vehicle’s battery. That makes it invisible. Stealth: A powerful magnet means it can be placed anywhere. It runs on a battery that can remain operational for up to three years.